Spend $10 on fast-food at lunch, or carry in a bag lunch to eat in at the office? Order some delivery for dinner because you’re too busy, or meal prep at the beginning of the week? Small choices we choose each day turn into habits that make up the backbone of our money decisions. It’s easy to say, “I’m going to spend less money this week,” but it’s a lot harder to actually ACT on those choices throughout the week. Turning our bad habits into good habits is key to great financial health. 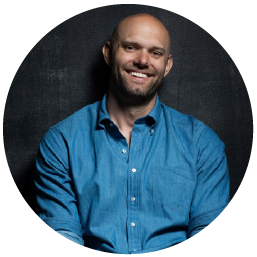 Today we’re bringing down the guy who wrote the book on the topic…the author of Atomic Habits, James Clear. Plus, in today’s headlines, the stock market has been a little shaky lately, if you haven’t noticed. Should investors be worried? We’ll have a few words for people experiencing “market panic.” And in our second headline, what are the best places for new retirees to live? You’ll be a bit surprised at some of the places that made this year’s list. Later we’ll throw the Haven Life Line to David, who is dollar-cost averaging into a Schwab S&P 500 index fund. He is already maxing out the “usual” accounts, so is a taxable fund the best place to stash the rest of his cash? And in our letter from the mailbag segment, we’ll answer a question from Natalie. Natalie and her boyfriend are both debt free and are also maxing out the accounts: HSA’s, Roth IRA’s, and their company 401k’s up to their match. They may want to buy a house in 5 years, but there’s nothing else on the horizon. What should they be doing with their money they’re not spending or putting away for retirement? We’re now halfway done with the Three-Town Tour! With Orlando and Kansas City behind us, we now have our eyes on hometown Detroit for our tour finale. Don’t miss out on the last chance to meet Joe, OG, Neighbor Doug, and a great panel of local names in a 90 minute special version of SB you won’t want to miss. What year did the colorized Christmas episode of “I Love Lucy” release? David is dollar-cost averaging into a taxable Schwab S&P 500 index fund. He already is maxing out his other accounts. Is this fund the best place to be stashing his extra cash? Natalie and her boyfriend are both maxing out their regular accounts (HSA’s, Roth IRAs, 401k up to match)… and they also have a 5 month emergency fund built up. They have no other debt, but may want to buy a house in 5 years or so. What should they be doing with their cash they’re not spending or saving for retirement?